Hidden in the back streets behind Snow Hill Station and Colmore Row is this gem of a pub. Steeped in history, the pub's name honours First World War heroes, the British Expeditionary Force, who held up the German advance at Mons in 1914. Kaiser Wilhelm II ordered his men to exterminate the 'contemptible little army', which led to the soldiers adopting the nickname The Old Contemptibles, many of whom frequented the pub. A large reproduction of veterans' Mons Star badge of honour (the 1914 Star Campaign Medal) hangs proudly on the exterior to compliment the pub's signage in Edmund Street. Renovated over four years ago, the Old Contemptibles had traditional Victorian features including a long bar, stained glass windows and cornices returned to their former glory. This revamp earned it the title of best-designed pub in the country at the Publican Awards in 2008, when it was a Mitchells & Butlers pub. Judges praised The Old Contemptibles for "a genuine attempt to capture what is often forgotten about Victorian pubs - their warmth and opulence". 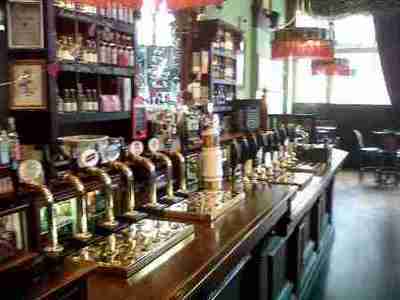 Amidst the banking and office district of Birmingham, the pub gets particularly busy on weeknights, especially Thursday and Friday evenings. It is also filled to the rafters during the annual German Market in Birmingham from late November to Christmas week when it adds mulled cider and mulled wine to its long list of real ales. There is a continuous addition of guest ales that include micro-brews along with more famous names like London Pride on tap. 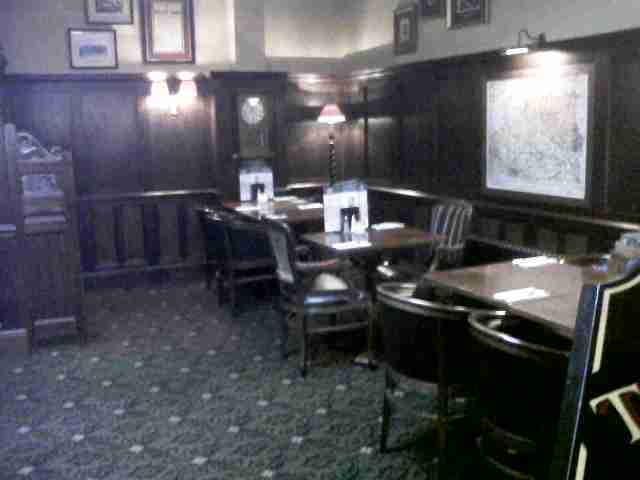 Cosy and inviting, the pub is split between a bar on one side with small tables and a dining area on the other. 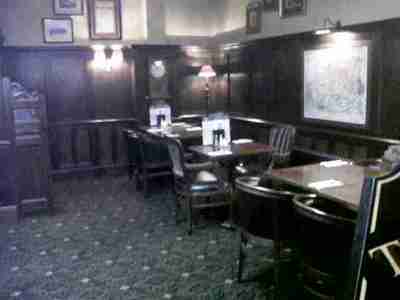 Now owned by Nicholson's, the menu is similar to those found at its other pubs in the country with the usual fare from sausage and mash to fish and chips, shepherd's pie and steaks. There is also a fixed price menu from 5pm until closing time of two courses for £9.95 and three courses for £12.95. Limited by the shape of the building, toilets are upstairs and are relatively small and reached by steep staircases. There has been a bar on the site of this pub for at least two centuries and thanks to the recent restorations, popularity has reignited for the Old Contemptibles.